Take "Professional Gamer" off the list of fantasy careers--they're here, and some of them are making serious cash in the eSports world. But what is a day in the life of a cyberathlete like? We sought out three prominent StarCraft 2 professional players--a 17-year-old wunderkind, an international tournament veteran, and a team leader--to see how much hustle it takes to play games for a living. Also, check out "2011: The Year of eSports," where we interviewed the people who turned competitive gaming into a business. 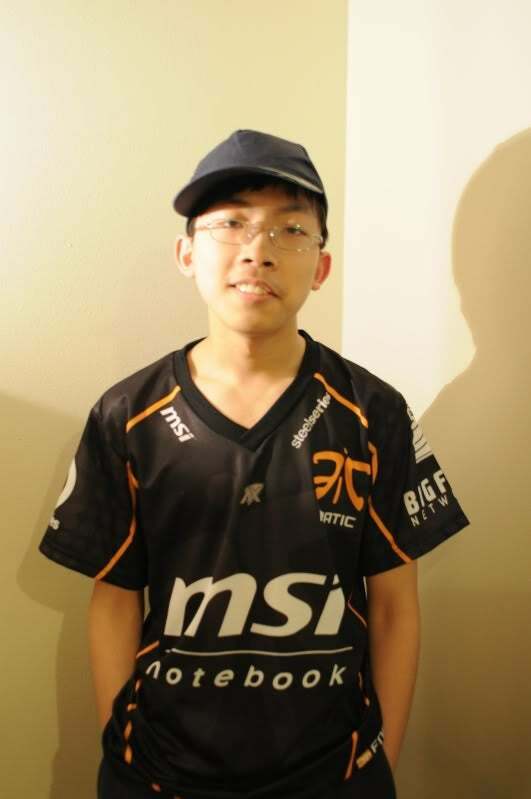 Adrian "KawaiiRice" Kwong is a member of team FnaticMSI, an international pro gaming team that fields players in several different games, including StarCraft 2, Quake Live, Counter-Strike, Call of Duty, and Halo. Who are you, and how did you get started as a professional gamer? My name is Adrian Kwong, I'm 17, and I live in Seattle. I played StarCraft pretty casually for five or six years, but then I saw a Lim "SlayerSBoxeR" Yo-Hwan highlight video on YouTube and got really interested in competitive StarCraft. 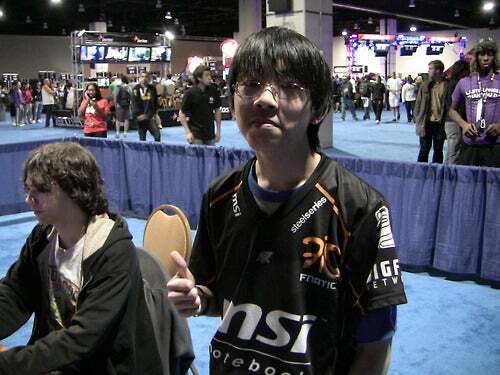 So I played for 3-ish years, managed to make it to the World Cyber Games 2009 national finals, and when StarCraft 2 came out I made the switch and Fnatic picked me up. living as a competitive gamer? Not really. It still hasn't really set in for me. I'm still kinda just playing around, I guess. Obviously it's something special to me to play StarCraft professionally, but I don't really feel like I could make a living off of it. We do have sponsors (MSI, SteelSeries, Bigfoot Networks), though. Why'd you get into StarCraft over other competitive games? Just because I've been playing it since I was seven years old. Nothing else really interested me, I never had anything else to do, and StarCraft was always there. How much do you practice? What does a normal day in your life look like? I play at least 3 hours a day, unless it's a weekend or a day where I have nothing to do, in which case it's 5 hours minimum. What would you be doing if you weren't a pro gamer? I'm really not interested in much. I like going to school, I'm kind of interested in business, but I haven't really thought about getting another job or anything. What do you see yourself doing 10 years from now? Do pro gamers "age out"? I don't know--that's really too far to predict. I could be anywhere--probably not playing games professionally, though. There are some players who age out, like SlayerSBoxeR, for example. He's still playing past his 30s, which is respectable, but I don't think older players can keep up as well. What do your parents, friends, peers, etc., think of your pro gaming career? My parents do know about this, and they're very supportive of me, especially when I have LAN competitions, and they try to be respectful and leave me alone when I'm playing an online tournament. It's sort of a good excuse for not getting out or doing stuff I don't want to do. For my friends and peers, not so much--I don't talk about StarCraft much at school, and I don't think they really care. I'll be at MLG Dallas in April--wish me luck! Paulo "CatZ" Vizcarra is the cofounder of Team ROOT Gaming, a newly established StarCraft 2 team that is home to a handful of high-level players like Kevin "qxc" Riley and Andrew "Drewbie" Moysey. Unlike Fnatic and Evil Geniuses, ROOT Gaming currently is not sponsored--meaning that its members have to fund their occupation by coaching others and winning tournaments. My name is Paulo Vizcarra, and I go by the name "ROOTCatZ" on Battle.Net. I am 24 years old, and hold a degree as a Bachelor in Media Arts and Animation; however, my only interest at this point in time is to play StarCraft 2 and succeed alongside my team, ROOT Gaming. How did this ROOT Gaming team come about? A few years ago, when they announced StarCraft 2 was coming out, Andrew "Drewbie" Moysey and I were playing 2v2 in StarCraft. We were one of the best 2v2 teams at the time, and we were always really close friends. We decided we'd make the best StarCraft 2 team when the game came out. Then a couple of years passed, I quit StarCraft, Drewbie continued to dominate the 2v2 scene, and he joined the famous team Mousesports (Mouz) as their main 2v2 player. When we both got our hands in the beta for StarCraft 2, we had a long and nice discussion on what our team should be named, trying to find people to help us get organized, make a Website, and so on. At the time, it was just me and Drewbie, but we announced a tournament where the winner would get to play against us and if we thought he was good enough, we'd let him into the team on a trial basis. We got a lot of responses and feedback--no one was very nice to us. They called us arrogant, said that we weren't that good, and asked why we would make a tournament and not even let the winner join a team that's not even famous or known or anything. It made no sense to them. But it made sense to us,because we were we were determined to succeed and had really high standards to uphold. We decided that if we were both really good at both 1v1 and 2v2, we'd win most clan battles even if we only had two people on the team, but we started recruiting players as we got better. Kevin "qxc" Riley was the first member to join us, and we kept growing from there. Is gaming your day job? Yes sir, and I'm proud of it. For myself? To become better at the game, and to help the eSports community to grow. But as the leader of ROOT, I would like nothing more than for my team to grow even bigger, to continue to do as good as we did this past year and be recognized as the best. We also want to find reliable sponsors and build a relationship with them. One of the toughest things for us has been the fact that so many teams have made our players so many offers (and in many occasions our team as a whole) to join these teams. You can count the ROOT members that have left us for these offers with one finger. It really makes me incredibly happy that despite all this we've been able to stick together; I couldn't be happier about the people we chose for the team. It's almost as if destiny gave me the most enduring, hard-working, self-respecting, loyal, and skilled group of friends to work with. What would you be doing if you hadn't gotten into pro gaming? I am a bachelor in Media Arts and Animation. I don't dislike it at all--I actually designed our Website and logo :). I quite love illustration, design, and some production, but not as much as gaming. What does an average day in the life of ROOT.CatZ look like? Every day looks different, I try to do a lot of game-related things every day. Sometimes I have meetings, sometimes I have interviews to answer, sometimes I have to help to make sure people show up for clan wars. Every day is different. Generally speaking, every day I'll teach some lessons, live-broadcast a video stream of the games I'm playing on Battle.net, and practice with teammates. Drewbie is my roommate, so I see him every day, too. How do you guys pay for the team? Do you have sponsors? We are working really hard on getting sponsors, and we have a few things in the works with some fantastic companies--but for now we can only hope for the best. Up until now, everyone has paid for their own travel and fees. Do you find that there is a huge difference in player ability and resources between ROOT and older, more-established teams like Evil Geniuses or Team Liquid? Resources, sure: As long as we don't have sponsors, we have no income as players or as a team. We can't make promises other than to continue doing our best as the individuals and good friends that we are. In player ability? Absolutely not. This is not to say that EG and TL aren't great teams; they are. In North America, I doubt anyone will argue that ROOT isn't one of the top three teams. I know we've had the best and most consistent results to show for [our efforts], both as individuals and as a team, and we're not planning to stop any time soon. What do your parents, friends, peers, etc., think about your pro gaming career? Most understand it now, or even if they don't, they know that I am both serious and passionate about it. Sure everyone joked about it at the start--it's hard to get people who aren't into gaming to understand. I'll tell you this much, though--StarCraft 2 is magical. Many of my friends watch me stream now, and the game has grown on them. My family now fully supports me, although that was a difficult battle, as my Mom wanted for me to work in my field of studies, especially right after I graduated. I don't have one plan, I have many. I can't tell you what I see myself doing because there are many things that I'd enjoy doing. In StarCraft 2, I don't just plan the game from the beginning because I could get countered, and my units wouldn't be as effective. Life is the same--I want to win, and I will. But there are many different ways to get to many different places that I'd be more than happy with.